Claire Johnson: Most people refer to Czech & Speake as a “modern classic”. What is it that makes it such a timeless brand? 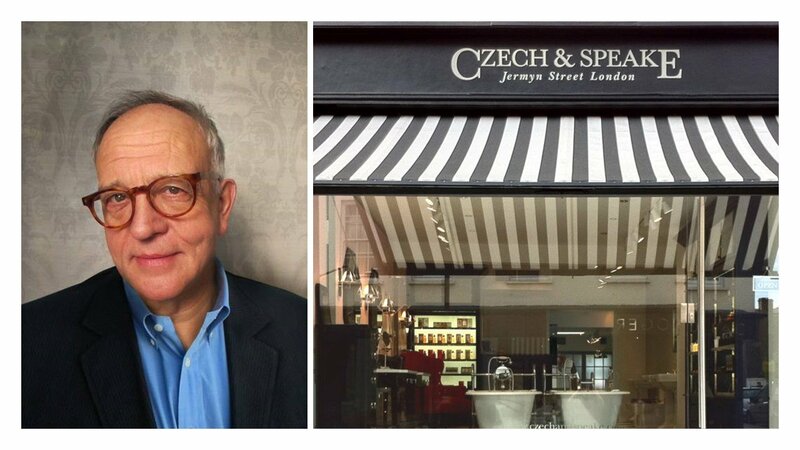 Frank Sawkins: Well “Brand” is a modern marketing term but in my view should be qualified with word “reputation” so one of the reasons to reach the status of Czech & Speake is by building an exemplary reputation with its customers, both loyal and new alike through heritage, design and authenticity. C.J: What would you say it was biggest challenge building C&S as a brand? dogged determination and not to dilute product quality also need to micromanage the quality of imagery and communication. Another challenge is the need to achieve the appropriate distribution to reflect the reputation of the product. C.J: Would you have done anything different? Frank: Speculation is not my demeanour. C.J: What is “Czech & Speake” to you? Frank: My eldest child – fear, foreboding, love, tears, pride and joy. C.J: Finally, many of C&S’s loyal customers are curious to know if there are new product releases in a near future. Would you like to comment on that? Frank: It’s a great compliment to me to have loyal customers that appreciate my designs and the quality that matter so much to me. We have new products for 2018/19; new fragrances, shave skincare and more men’s grooming and bathing products. C.J: That is very exciting news! I cannot wait to try them myself, you have got me curious. Frank: We are also excited to be launching new products. I am glad you are, Claire. good news is that Czech & Speake Friends will have all exclusive information about releases and promotions… Just make sure you check your e-mail box regularly. C.J: I will do, Frank. Thank you so much for your time. It was a pleasure to interview you and I wish the best of luck for Czech & Speake and yourself. Frank: You are welcome, Claire. The pleasure was mine.